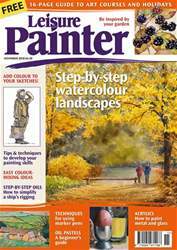 Arguably, there is no better time for the landscape painter than autumn. Mellow light behind the bright, rich colours of the changing leaves presents us with limitless possibilities as we stop worrying about how to make sense of summer greens and enjoy bringing the surface alive with exuberant marks of yellows, oranges and gold. Who doesn’t love colour?